C Wells is a fast-rising recording artist out of Lynn, Massachusetts riding a new wave right now thanks to his new single, titled, "New Whip". The new song follows up Wells' September 2017 short-film, "187 781". On "New Whip", C Wells is a man on a mission with this quality of lyricism coming from an up-and-coming. Produced by Marz, C Wells resurges after ten months hiatus with convictions of becoming the next big thing out of Massachusetts alongside Joyner Lucas. C Wells has identified the track as a "Summer Anthem," with catchy hook and three sizzlingly attractive verses about riding fast and living life just as fast. A track that makes C Wells' absent well worth the wait. While the word may not be too familiar with C Wells, regional fans know Wells best for his 2015 G Herbo-collaborated track, "For the Paper" off his Don Cannon-hosted mixtape, Before the Tour Bus. "New Whip" is the lead single from C Wells forthcoming new project, currently untitled. 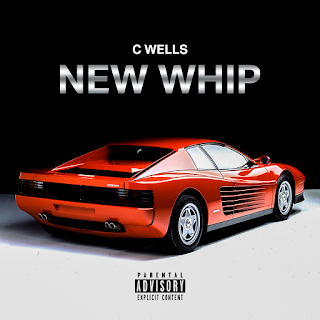 "New Whip" is the lead single from C Wells forthcoming new project, currently untitled. Stream C Wells' New Single, "New Whip" today, courtesy of Soundcloud.